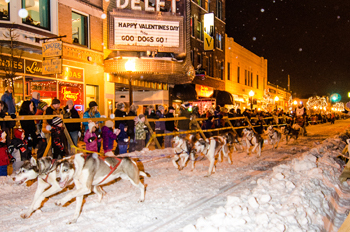 Noquemanon continues the rich tradition of nordic ski events found in Marquette County, in Michigan’s beautiful Upper Peninsula. With Lake Superior as our neighbor, Marquette County receives plenty of snowfall, offers a rugged and varied terrain, plus is filled with fun-loving and sharing volunteers. Welcome to our new website. We hope that you will find this a little more ‘user friendly.’ We have gone to greath lengths to ensure that your experience is smooth and trouble free. We invite you to explore our site and feel free to get in touch with us any time. Welcome to the official Subaru Ore To Shore Mountain Bike Epic Website! Michigan’s Largest Mass Start Point-to-Point Race! Our mission is to develop and maintain an interconnected, year round, non-motorized land and water trail network in the central Upper Peninsula of Michigan. Marquette County is a cluster of neighboring communities separated only by towering pines, majestic rivers and streams, and the unique characteristics each has created for itself. Located in Marquette, Michigan, Riversnorth Guide Service offers secluded, guided fishing trips throughout the Upper Peninsula’s Watersheds. Uncle Ducky Charters offers Lake Trout Fishing on Lake Superior from Marquette Michigan and Walleye Fishing on Little Bay de Noc from Escanaba and Gladstone, in Michigan’s Upper Peninsula.